In the aftermath of their journey to another planet, Director Phil Coulson (Clark Gregg) and the rest of the team were driven more than ever to put an end to the Hydra organization. Little did they know that they were up against the deadliest threat they’ve ever faced – an extremely powerful Inhuman, Hive, who was transported back from Maveth in the body of their worst enemy, Grant Ward. The team was able to thwart and kill Hive and take down Hydra, but they are all still mourning the death of fellow agent and Inhuman, Lincoln Campbell. In light of the Sokovia Accords, and with Hydra obliterated, S.H.I.E.L.D. has been legitimatized again and no longer needs to operate in the shadows. Since the world presumes that Coulson is dead, the organization needed a new Director (Jason O’Mara) to be the face of the organization. Coulson finds himself back in the role as an agent and teamed with Mack (Henry Simmons), and together they are tasked with tracking down and confirming the presence of Enhanced people, aka Inhumans. They have been trying to track down and capture Daisy (Chloe Bennet), aka Quake, who has gone rogue in an attempt to atone for sins from the past. But with the world believing that Daisy is a dangerous outlaw who has taken down banks and bridges, the new Director has no qualms about taking her down for good. Agent May (Ming-Na Wen) is tasked with training specialist strike teams, and Fitz (Iain De Caestecker) and Simmons (Elizabeth Henstridge) have taken a big step forward in their relationship. But with Simmons’ new promotion as Special Advisor to the Director in Science and Technology, Fitz, as well as her former team members, finds it hard to confide in or trust her since she’s now the Director’s confidant. Robbie Reyes (Gabriel Luna) will roar into the lives of Agent Coulson and the team as a junkyard mechanic who can turn on a dime into the terrifying Ghost Rider. Will Robbie be a friend or foe to S.H.I.E.L.D. – as well as the world, itself? Meanwhile, Fitz discovers that socially awkward genius and friend Dr. Radcliffe (John Hannah) has started putting the finishing touches on a new, secret invention. Marvel’s Agents of SHIELD stars Clark Gregg as Director Phil Coulson, Ming-Na Wen as Agent Melinda May, Brett Dalton as Grant Ward, Chloe Bennet as Agent Daisy Johnson, Iain De Caestecker as Agent Leo Fitz, Elizabeth Henstridge as Agent Jemma Simmons, Nick Blood as Agent Lance Hunter, Adrianne Palicki as Agent Bobbi Morse, Henry Simmons as Agent Alphonso “Mack” MacKenzie and Luke Mitchell as Lincoln Campbell. 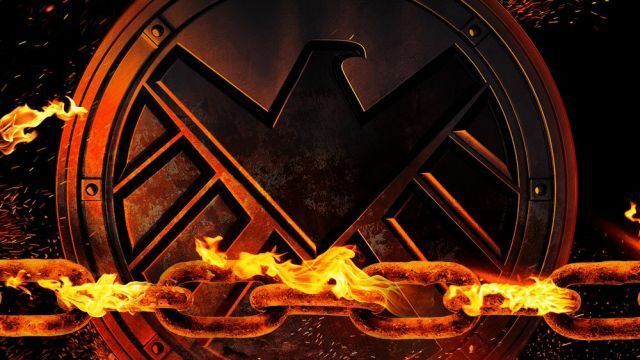 The new season will also feature Jason O’Mara as the new director of SHIELD and the debut of Gabriel Luna as Robbie Reyes, aka the most recent incarnation of Ghost Rider, marking the MCU debut of the spirit of vengeance. Marvel’s Agents of SHIELD returns Tuesday, September 20 in its new timeslot, 10:00 PM ET on ABC.